The apartment is very basic but clean. It is located a short distance from the bay and local shops/restaurants. 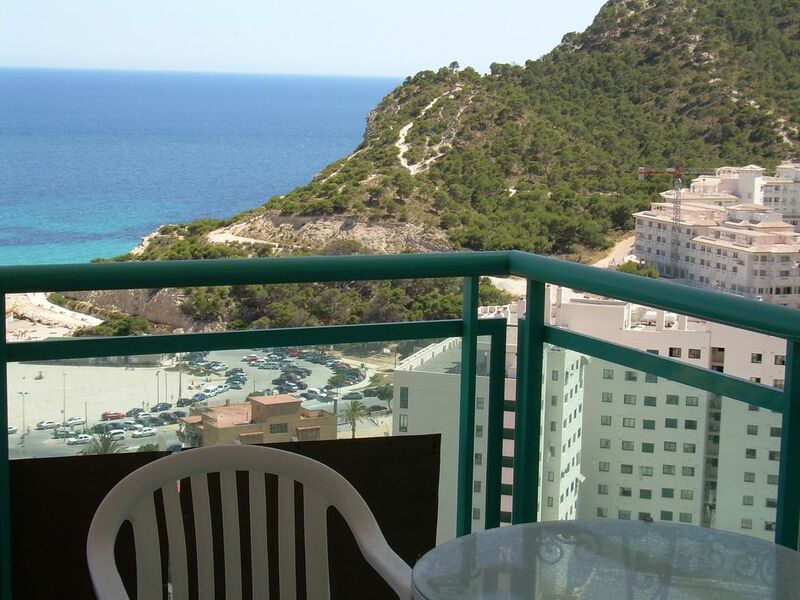 The property is approximately 350m from the beach. Unfortunately the incomplete building to the front of this block does restrict the view of the beach. I used the transfer service that Ryanair now have on their site- The bus stopped outside the block. The kitchen contains a decent sized fridge/freezer and a selection of plates and a limited amount of cutlery. There is a hob, microwave and toaster but no kettle. It is big enough if you are mostly eating out. The utility room has a washing machine. Living areas, bathroom and bedroom are spacious enough and clean. The living room and bedroom have ceiling fans though they were fairly ineffective and I slept on the balcony each night as there was a bed there and it was much cooler. Again I did not spend any time in the living room as it was too warm to do so, I didn't once try the couch. There are two single beds and a large wardrobe in the bedroom. The shower was great, a nice bit of power, just make sure the poorly placed window is closed or you may crack your head when you forget that it is open- I did. The apartment does have WiFi which runs at a great speed. The grounds of the apartment are tidy and there is a nice pool. The panoramic lift is a treat- you will get a view inland from the block and it is air conditioned. Angela is a pleasant host. Would I stay there again? I would for the convenience of the location but the price would need to be reduced significantly. Si lo necesitan se les facilitaría un vehiculo en alquiler a un precio muy económico y también se les puede recoger en el aeropuerto o tren con un extra en el precio muy ajustado al ser clientes.Entrada: 16:00 h Salida: 11:00 h. Si hay posibilidad se flexibiliza.